This workshop is intended to help first year SOS students with any issues that they are having with their units. These sessions are run by students who have acheived Distincions and High Distinctions in the first year couses. 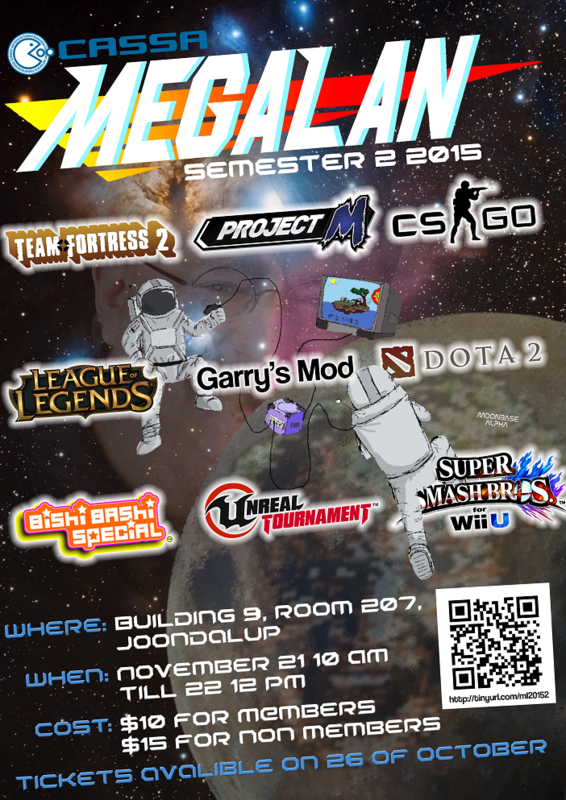 If you have any issues with your current assignments, or have any questions about your classes, feel free to come by. Welcome to ECU in 2016 everybody, there has been some changes in what we are doing. 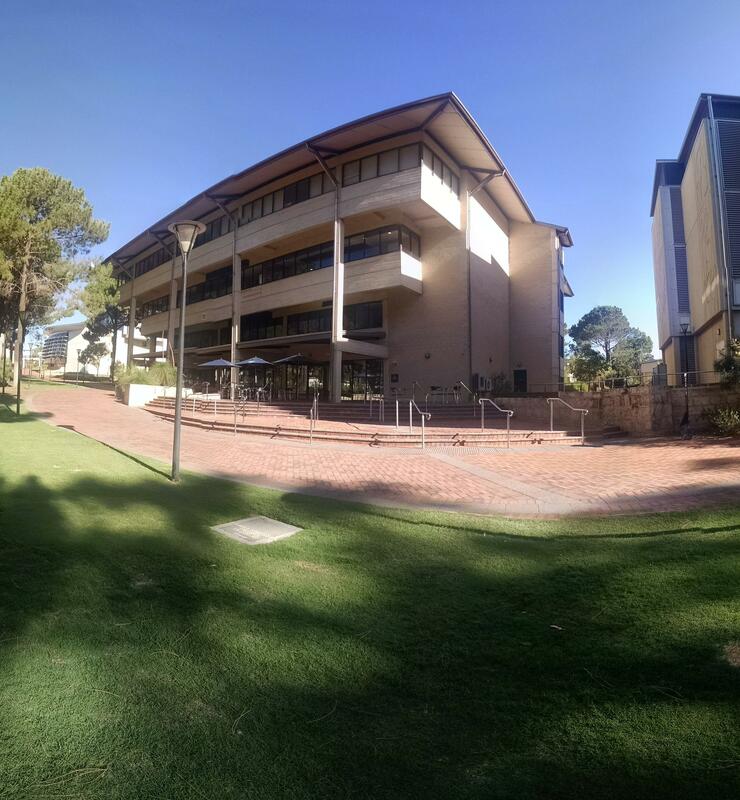 Starting this year we have moved to the Joondalup campus with the School of Science. 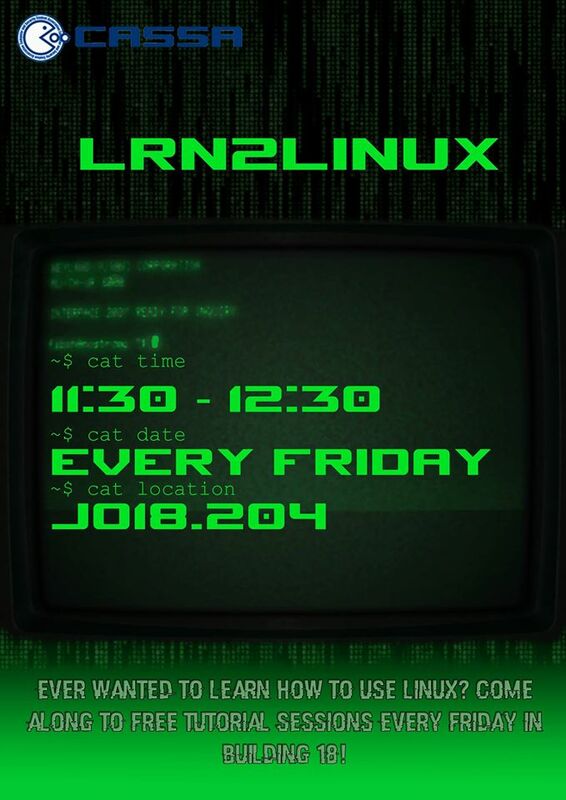 Since the start of 2016, the School of Compuer Science has been absorbed by the School of Science.�This year we are hosting some well known events and some new events, some events starting this year are Lrn2Linux, Locksports Tutorial, and the CASSA Podcast. Like the years before, we will be hosting megaLAN at ECU, which we plan on hosting in the ECU Joondalup Library to accomidate more people, the dates of which would be added in the near future. Currently, the School of Computer Science has been alocated space in Building 18, where CASSA wants to recieve space for the new Clubroom. 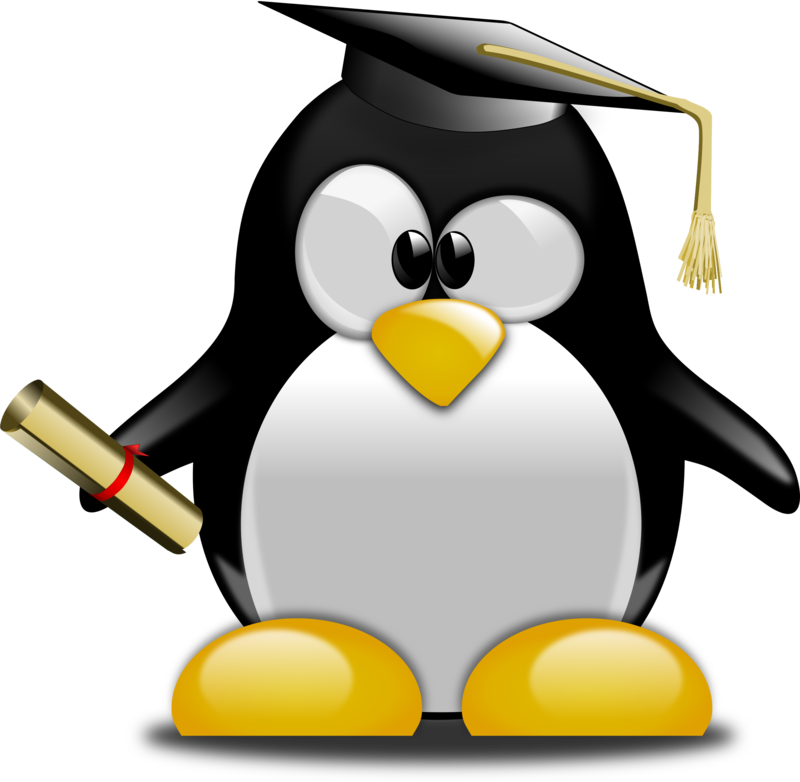 Proficiency with the Linux operating system is essential for any computer science student. Therefore CASSA will be running weekly workshops on the Joondalup campus every friday 11:30am to 12:30pm in room 18.204. Bookings aren’t necissary just arrive at the workshop and we’ll get you started. 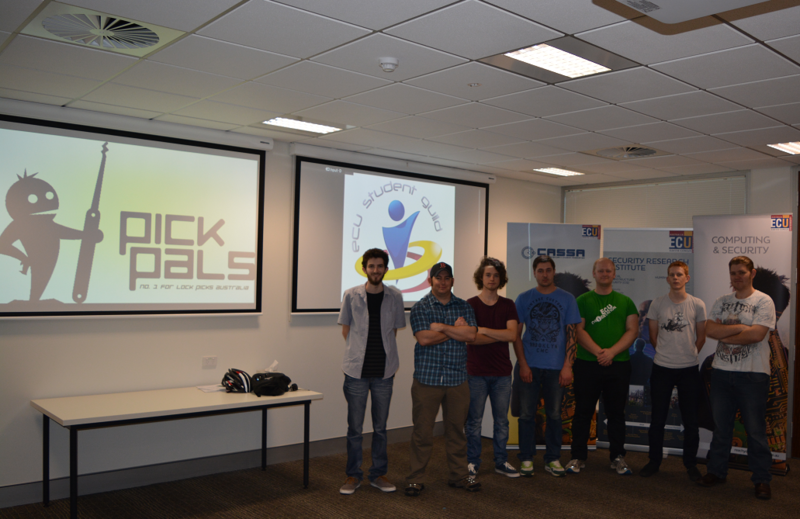 Two teams from the Edith Cowan University School of Computer and Security Science entered the Cyber Challenge Australia (CySCA) ethical hacking competition this year. Our teams placed 9th and 10th nationally, and one of our teams won prizes for coming first in completion of the forensics category. The Edith Cowan University Security Research Institute allowed us to use their state-of-the-art Cyber Security Laboratories throughout training and for the final competition, and also provided us with training given by their staff. The School of Computer and Security Science provided us with snacks and drinks throughout the final competition and also provided us with training given by their staff. Our friends at Pickpals shouted us dinner for the competition evening! These folks helped pay for food to keep us sustained in the weeks leading up to the competition. We deeply thank you for all your support!! Are you an organisation who wishes to sponsor our team for 2016? Are you an ECU student interested in participating in CySCA 2016? Send us an email! Here’s a bunch of PDFs of Agendas and Minutes of all of CASSA’s general meeting, from the 22nd of May 2015 to the 4th of September 2015. I’m terribly sorry that I allowed the backlog to get this large in the first place. Hopefully now you should have access to PDFs of all of CASSA’s agendas and minutes from the start of this year to early September, through this and my previous post. Thanks to everyone who came to the Linux install party, it was great fun. �To help you on your Linux journey here are some helpful links. 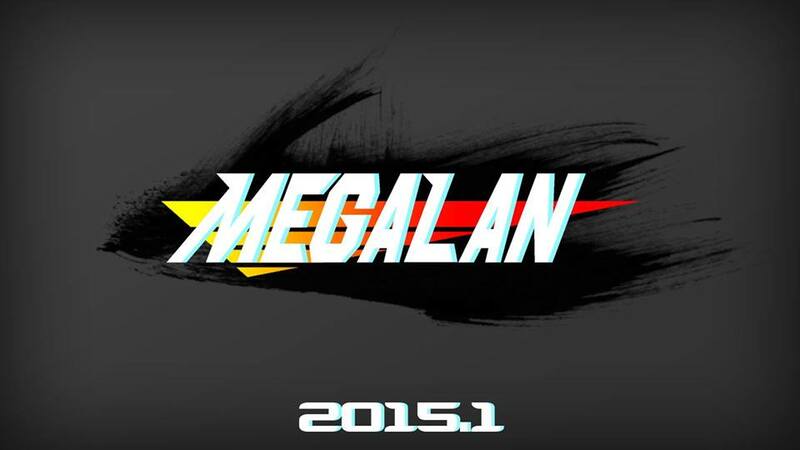 We present to you all MegaLAN 2015.1! From the 4th of July straight through the night to the 5th, CASSA hosts the MegaLAN, a solid weekend of gaming and socialising for all to enjoy. What Tournaments Will be There? – 8 PM The Bishi Bashi WTF?? All of these tournaments have prizes for first, second, third and last place. 26 hours not enough? Join us on Friday the 3rd to help us set up and pregame! For more details on MegaLAN 2015.1, please visit our MegaLAN page on our website:�www.cassa.org.au/megalan�for updates on CASSA and MegaLAN. These are the minutes for the 8/5/2015 general meeting. Seriously, it was such a party. If you prefer to read a PDF version of these miuntes,�please click here. – It was decided that CASSA will fund the MegaLAN from its own funds, and will then be reimbursed by the Guild after the event. This way we will not have trouble keeping guild funds separate. – Previously all surplus funds gained by the end of semester were spent nearly completely on the EoS party. 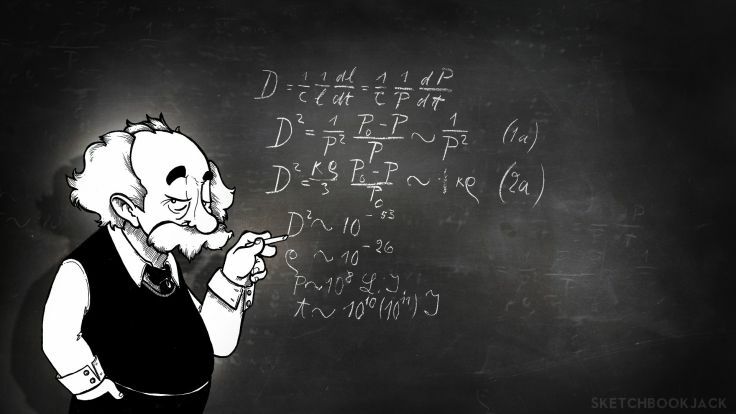 – We have decided to aim to host a cheaper EoS party to reduce the cost on CASSA�s part. – Could book a room at ECU as a venue. Do not need license to sell as we will not sell the drinks, still need to card as it is the law. – We had three volunteers from CASSA to help the Big Day In staff, including Ash and Evan who ran the CASSA stall. – All volunteers found the call for volunteers through CASSA�s mass emails. – Stall was successful, with drone, drone footage, 3Dprinter and active members. – Need drinks, chocolate, noodles and forks. – Run will be completed next Tuesday. She left me roses by the stairs. This is the agenda for the 8/5/2015 general meeting. You should have come, it was pretty great. If you prefer to read a PDF version of this agenda,�please click here.